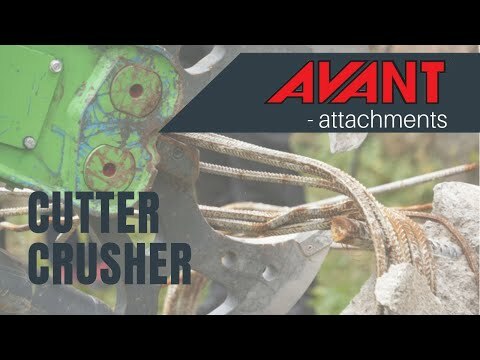 Avant cutter cruscher is intended for professional demolition work. With the cutter crusher you are able to crush the concrete, brick etc. and cut the metal rebars into convinient pieces with the sametool. The cutter crusher has changeable blades in both crushing jaw as well as in cutting jaw. The cutter crusher can be rotated endlessly straight from the operators seat with the help of an adustable mechanical rotation.